Crisis times are characterized by a dynamically changing and evolving need set that should be evaluated and acted upon with the least amount of latency. Though the established practice of response to rescue and relief operations is largely institutionalized in norms and localized; there is a vast sea of surging goodwill and voluntary involvement that is available globally to be tapped into and channelized for maximum benefit in the initial hours and days of the crisis. This is made possible with the availability of real-time, collaborative communication platforms such as those facilitated by Facebook, Google and Twitter. They enable building and harnessing real-time communities as an amorphous force multiplier to collate, structure, disseminate, follow-through, and close the loop between on-ground and off-ground coordination on information, which aids both rescue as well relief operations of ground response organizations. At times of emergencies, amorphous online communities of citizens come into existence on their own, sharing a variety of skill sets to assist response, and contribute immensely to relief efforts during earthquakes, epidemics, floods, snow-storms and typhoons. Since the Haiti earthquake in 2010 to the most recent Ebola epidemic, online citizen communities have participated enthusiastically in the relief and rehabilitation process. This chapter draws from real world experience, as authors joined forces to set up JKFloodRelief.org initiative, to help the government machinery during floods in the state of Jammu & Kashmir (JK) in India in September 2014. 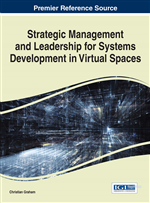 The authors discuss the structure and nature of shared leadership in virtual teams, and benefits of channelizing global goodwill into a purposeful, and sustained effort to tide over the initial hours when continued flow of reliable information will help in designing a better response to the crisis. The authors discuss the lessons learned into 5 actionable dimensions: first, setting up response-led citizen communities with distributed leadership structure, in coordination with the on-ground teams. Second, communicating clearly and consistently about sourcing, structuring, and disseminating information for both internal team challenges, solutions, and plans with shared goal-preserving policies, as well as external public awareness. Third, developing partner ecosystem, where identifying, opening communication lines, and involving key stakeholders in community ecosystem - corporates, nonprofits, and government provide a thrust for large-scale timely response. Fourth, complementing and catalyzing offline efforts by providing a public outlet for accountability of the efforts, which recognizes actions in both off-ground and on-ground environments for volunteers, key stakeholders and citizens. Lastly, the fifth dimension is about follow-up & closure, with regrouping for assessing role, next steps, and proper acknowledgement of various stakeholders for a sustainable partnership model, in addition to communicating outcome of the efforts transparently with every stakeholder including citizen donors to ensure accountability. With the extensive description of each of these dimensions via narrative of experiences from the JKFloodRelief.org initiative, the authors aim to provide a structure of lessons learned that can help replicate such collaborative initiatives of citizens and organizations during crises across the world. According to Seeger, Sellnow, and Ulmer (1998), crises have defining characteristics that are specific, unexpected, and non-routine events or series of events, creating high levels of uncertainty and threat or perceived threat to an organization's high priority goals. More loosely, it is an escalated “emergency event”, and in this chapter’s context, for natural hazards. An emergency is defined as an exceptional event that exceeds the capacity of normal resources and organizations to cope with it (Alexander, 2002). Considering the online community knowledge source - Wikipedia, a crisis is defined as any event that is, or is expected to lead to, an unstable and dangerous situation affecting an individual, group, community, or whole society. Crises lead to negative changes in the economic, societal, or environmental affairs of a region, and therefore, require a systematic approach to management. Crisis management is the process by which organizations deal with the crisis. It may include activities such as identifying the nature of the crisis, intervening to reduce or nullify damage and streamline rehabilitation efforts. As of today, there are proven practices and guidelines adopted to respond to a crisis and aid rescue and relief operations. These are often localized for each country or region, and often highly institutionalized under a variety of complex norms and processes of responding organizations. However, every large-scale crisis event brings unique and unexpected situations, which challenge the response management to engage with citizens and respond efficiently. To aid the potential solution, as a consequence of growing internet penetration and social media adoption, real-time platforms facilitated by Facebook, Google, and Twitter have made it much quicker and simpler to connect and coordinate the huge human goodwill available worldwide. It can be optimized to bring great benefit during the critical early response days post a crisis event. Volunteering citizens observe surroundings and situations, share updates on events, engage in discussions and spread awareness of priorities as they bring on board a variety of skillsets while teaming up organically to form highly effective and dynamic online communities that end up playing pivotal roles during crisis response. Through shared experiences and learning, these communities have even enabled crisis readiness, averting many a death or catastrophe. Communication, invariably, is the first casualty of any crisis, and online communities play a critical role in plugging the big communication gap - as authors learnt while coordinating the relief efforts. In the following sections, authors share their experiences, observations, and learning from the JKFloodRelief.org initiative formed during the 2014 floods in the state of Jammu & Kashmir (JK) in India. Beginning with introduction of how an online volunteering team first came into existence during the Uttarakhand floods in June 2013, briefly described are also the efforts undertaken towards assisting rescue and relief operations in the aftermath of these floods. The description then throws light upon the efforts by the team during the time cyclone Phailin struck Indian coast in the state of Odisha. In this case, authors picked up alerts about the impending cyclone before it made landfall and therefore, the team was able to sound out evacuation calls and reach out in advance. By the time, the JK floods occurred, equipped with the past learnings from these two natural crises, authors plunged headlong into coordinating and aiding rescue and relief efforts by assisting the Indian Army and the JK state government. The cumulative energies of existing and new team members were invested into assisting with rescue and relief that were supported by collaborative technologies oriented for an impactful response. From identifying the on-ground needs to setting up countrywide collection centers for relief materials, and dispatching them to the flood hit areas, this team was actively involved in every sphere. Important lessons from the challenges and employed practices in virtual teams are discussed along five dimensions in the following - team structure and leadership, communication, collaborative partner eco-system, complementary offline-online coordination, and constructive closure. Authors conclude this case study and observations with an acknowledgement of all those who contributed to the JKFloodRelief.org initiative in their own way.